The Douglas County Community and Senior Center was one of the largest projects undertaken by Douglas County in recent years, consisting of an approximately 80,000 square foot facility located on approximately 20 acres of vacant land. In addition to the size of the project, it was further complicated due to the proposed project site, located on County property south from Lampe Park and adjacent to Waterloo Lane in Gardnerville, being located in a primary FEMA designated floodplain. Initially, R.O. Anderson was tasked to develop a site and grading plan that accomplished the Owner’s project objectives without negatively impacting adjacent properties which could potentially occur from filling in the floodplain. This required the development of numerous site and grading plans followed by intense FLO-2D two-dimensional hydraulic modeling to mitigate potential impacts to the existing floodplain. R.O. Anderson prepared and submitted a formal Conditional of Letter Map Revision application to FEMA to document the results of the two-dimensional modeling and prove that the impacts from the project were mitigated with the design. Once the project was demonstrated to be viable through the flood modeling, R.O. Anderson prepared the civil site design for the various phases of the proposed improvements. The project evolved into a number of different phases and R.O. Anderson was one of the common elements throughout all of the phases. The project delivery system for the Senior Center building itself and parking lot was a design-build competition. R.O. Anderson teamed with Core Construction and a number of other professional consultants to develop the design that was ultimately awarded the contract. R. O. Anderson was simultaneous contracted directly with the Parks Department to widen the adjacent street, stub utilities to the site, and install pedestrian access along the project frontage. This required close coordination and communication with our design team from Core Construction, the Parks Department, their project administrator, the various different contractors, and the permitting and inspection authorities. R.O. 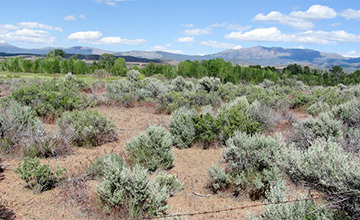 Anderson’s overall project services included topographic survey, flood analysis, civil site design, cost estimating, construction staking, reversion to acreage mapping, water rights analysis, preparation of bid documents, specification writing, and permitting assistance through local, state and federal agencies. Construction of the project is nearing completion. Harrison Avenue is a small commercial corridor that parallels U.S. Highway 50 in the City of South Lake Tahoe, California. The site was challenged with respect to providing adequate parking and access to serve existing businesses located along this corridor, along with drainage, erosion, snow removal and maintenance issues. water quality through a district wide approach to storm-water conveyance and treatment that considers economic realities, smart use of limited space, aesthetics and community/public spaces. R.O. Anderson staff managed and coordinated the project’s interdisciplinary team, led the public outreach, and coordinated regular stakeholder/advisory group meetings. We performed the initial surveying work; designed storm drain improvements with temporary and permanent BMPs for collection, treatment, and infiltration of stormwater within the project area; developed the civil design plans, specifications and cost estimates; performed the environmental analysis (CEQA, NEPA and TRPA); coordinated permitting through regional, state and federal regulatory agencies; assisted with the establishment of an assessment district, and prepared contractor bid documentation and support for all work within the public rights-of-way. The project is now under construction and we understand how important the City sees a transparent process will be to the success of this project. The number of potential stakeholders, property owners, business owners, agencies and City departments dictate the need for clear lines of communication and concise project updates on a regular basis. A transparent process also includes the ability of interested parties to engage in the process, know when and how they can do this and understand how their engagement will inform the outcomes. The Bonanza Neighborhood Park project, located in South Lake Tahoe, California, consists of an approximately 43,000 square foot neighborhood park including a children's playground, basketball court, picnic area, parking spaces, a large grass area, and other amenities. We were engaged by the Owner to utilize the architectural site plan from the landscape architect to prepare the preliminary and final civil improvement plans for the proposed park. We prepared plans for site grading and construction details, the drainage report, Best Management Practices plan, and an engineer's estimate of probable construction costs. The project was designed with infiltration trenching at strategic locations and permeable pavers with storage beds to mitigate storm water run-off. The project team met the client’s vigorous schedule and brought the project from visioning to permitted bid documents in a total of six months. The project was successfully bid and was constructed in 2012. The Washoe Tribe of Nevada and California was in need of additional housing due to population growth in the colony. 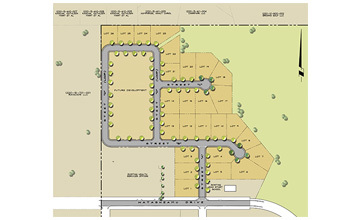 The project proposed the construction of a 26 unit subdivision on historically undeveloped land. The project consists of constructing asphalt paved roads and utilities to serve the development in addition to the mass on-site grading for lot pads.R.O. Anderson Engineering has shared an enduring relationship with the Washoe Housing Authority and the Washoe Tribe in Nevada and California over the past 10 years. The projects have included assisting with the development of residential parcels within the Dresslerville community, locating property corners for fencing projects, writing legal descriptions and creating exhibits, engineering design, and site development for the recently constructed community building. We were asked to develop 26 residential lots for the construction of homes. R.O. Anderson Engineering has shared an enduring relationship with the Washoe Housing Authority and the Washoe Tribe in Nevada and California over the past 10 years. The projects have included assisting with the development of residential parcels within the Dresslerville community, locating property corners for fencing projects, writing legal descriptions and creating exhibits, engineering design, and site development for the recently constructed community building. 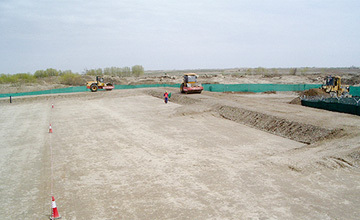 We were asked to develop 26 residential lots for the construction of homes. R.O. Anderson Engineering has shared an enduring relationship with the Washoe Housing Authority and the Washoe Tribe in Nevada and California over the past 10 years. The projects have included assisting with the development of residential parcels within the Dresslerville community, locating property corners for fencing projects, writing legal descriptions and creating exhibits, engineering design, and site development for the recently constructed community building. 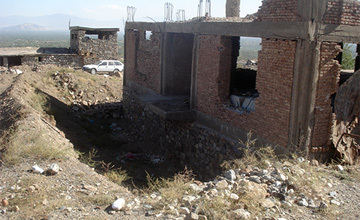 Therefore, we were asked to develop 26 residential lots for the construction of homes. For this project we completed a boundary survey of the site, topographical survey, engineering design and improvement plans, and a community-wide analysis of the drainage to facilitate storm drain design. Design of the project is 100 percent complete and the project went out to bid. Construction is currently pending. Technologists, Inc. with offices in Afghanistan, Saudi Arabia and the United States selected us on January 27, 2010 to provide civil engineering consulting services for their Afghanistan office. The tasks involved preparing plans for various facilities administered by the U.S. Army Corps of Engineers. 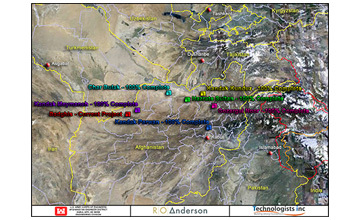 There were many challenges associated with these projects including difference in time zones between the United States and Afghanistan, difficulty obtaining rainfall data, difficulty obtaining adequate field information and providing enough flexibility in the engineering design to field adjust was a particular challenge to the remote nature of the projects and the conditions under which they were administered. Additionally, construction schedules were often extremely accelerated with portions of the work being started prior to the entire design for the site being finalized. 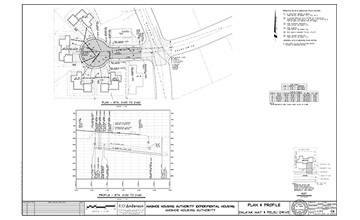 We were contracted to provide a wide range of civil engineering consulting and design services such as sanitary and storm sewer collection system; analysis of an existing potable water system and design of an expansion of the potable water system; overall and detailed site layout including buildings, roads and walkways; overall and detailed grading including earthwork estimates; design of the electrical and communications backbone through the campus. R.O. Anderson also prepared the Environmental Protection Plan for the proposed work area in compliance with Islamic Law. All of the work prepared was based off of a prototypical Army plan and then developed to the particular site and submitted for review and approval at 65%, 99% and 100% stages. The work product produced by R.O. Anderson complied with the US Army Corps of Engineers standards for everything from AutoCAD standards to drainage design and this included working with System International (SI or metric) units. Our design approach was to often use locally sources materials with a simple, yet effective design approach for ease of construction and at tolerances that could be adjusted by field contractors who utilized available local labor pools. We successfully assisted Technologists Inc. in completing multiple projects of varying sizes and complexity in Afghanistan. 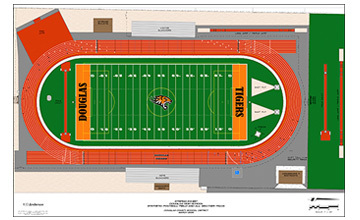 Douglas County School District was approached by a local philanthropist to provide funding for upgrading their track and field facilities at Douglas County High School. 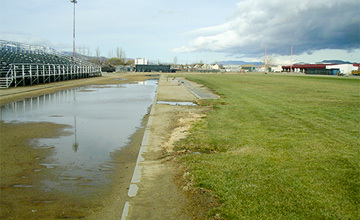 The existing track and field facilities had drainage issues that often left the facilities unusable. The project was to construct a state-of-the-art facility for the use and enjoyment of the students and the community. R.O. 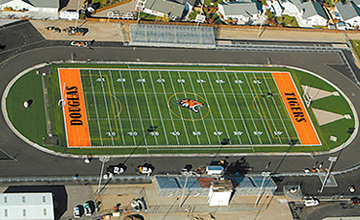 Anderson was engaged by the District to handle virtually all aspects of this high-profile, two-million dollar project, which involved design of an eight lane all-weather track and field facility and multi-use football/soccer field, plus an extensive upgrade to the existing storm drain infrastructure to serve the improved facility. Furthermore, the district also retained our services to develop the plans and administer the contract for an adjacent equipment storage building, an upgrade to the security fence surrounding the project area, as well as the installation of a new scoreboard for the facility. The project was successfully bid and completed, and has served as a touchstone of community pride as well as a key component of the District’s overall athletic infrastructure. Need To Work On Some Sites? Call Us!